This will give your VC Sequencer 8 individual outputs for each step outputting either a trigger or a gate, selectable with a jumper on the pcb, and a 9th output that gives you a trigger for each step progression. Also on board is a trimmer for setting the trigger length to your liking (ca 1-20 ms). Usually you wan't to set this as low as possible to reach higher rates. Different trig lengths can give a different sound from pinging filters or striking lowpassgates. Some vintage gear also require longer trigs. The gates are high for the full duration of each step. 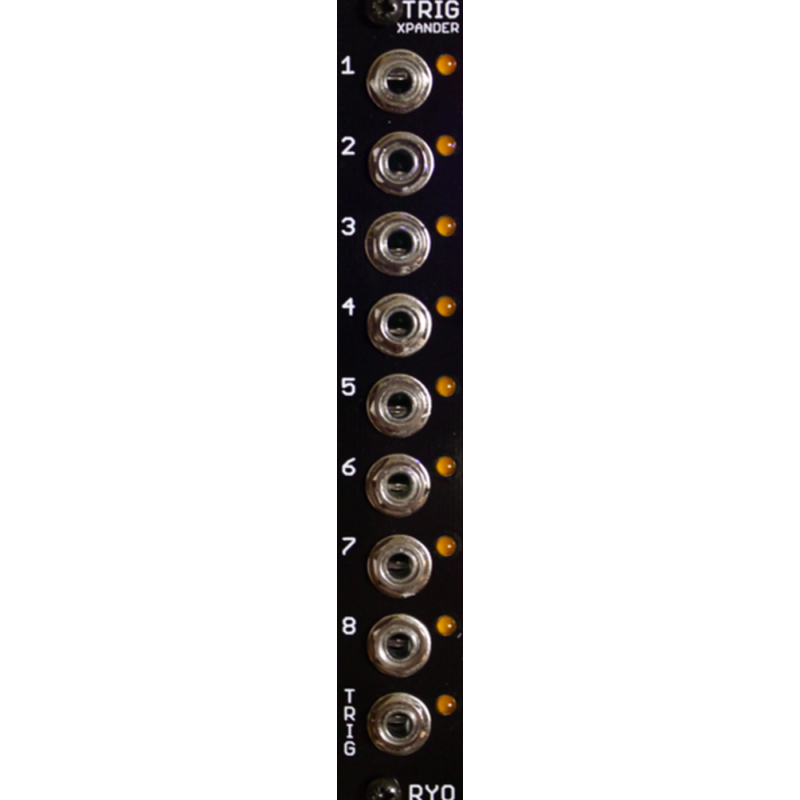 The outputs are diode isolated, this allows for passive mixing of the outputs using a passive multiple/stackcable/IV cable, or a switched multiple/OR combiner such as the Doepfer A-182 or Low-Gain Short Bus. 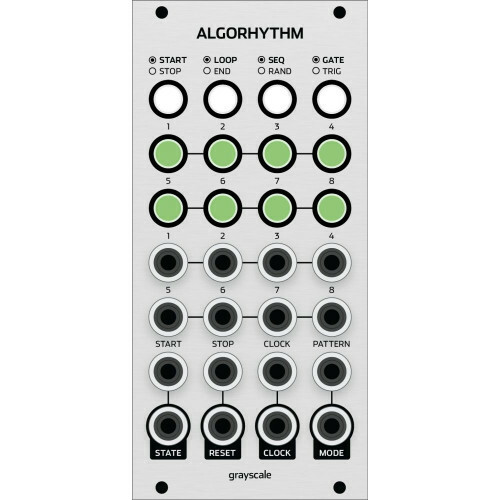 new from grayscale- the algorhythm DIY kit for euro. Algorhythm is an 8-step trigger se..